Brain Shaper: "Lets boost your brain!" Hexa-Trex: "HEXA-TREX is a puzzle of mathematical aptitude that is fun for both kids and adults. This seemingly simple game soon becomes a search through complex pathways to find the right math equation. Scrol..."
"Mobile Application (iOS & Android) and a Website offer learner recruitment program by CATHSSETA to allow employers to connect with learners who are seeking training and workplace experience in the culture, art, tourism, hospitality and sports sectors. Here Learners will be able to enroll themselves over the system by providing required information using website or Mobile App. This app also works in offline mode." "Tutored is the app that allows students to better organize their university lives. Students face many challenges during this period, from when they enroll, to preparing for an upcoming exam, to later finding the best program for Erasmus, a favorable internship, or acing their first job interview. With Tutored’s features, students can take on such challenges and have success. They will truly know what it means to fu..."
IS Mastery: "An Application enriched with Video and Audio Content which works in both Online and Offline mode using Cache mechanism. Outline of the entire course showing the present running course. Some Key featur..."
CampusBooks: "Whether you're a college student looking to buy or sell textbooks, an avid reader looking for new additions to your collection, or a savvy shopper searching for the perfect gift for a beloved biblioph..."
"Tutable is a platform that connects students with tutors. Tutors can come on the app, register and post their classes based on the skill set that they have. Students can see all the classes posted by all the tutors; ..."
"Braingrrom is a social platform to connect Students and Tutors. Students can see all the teachers and the classes posted by them. They can see the reviews posted by other students, ask queries and finally book the classe..."
We have worked on couple of educational websites and mobile applications with 100% timely completion and client satisfaction, which is giving a good revenue to our client. "Walkwel’s in-house development team, using their technical expertise built this custom application along with its extension the parent application. The team did end-to-end development including wireframes, backend, interactive features like assignment submission and grade analysis, reports with performance charts and live chat functionality. It connects students to all the required guidance needed with their IIT JE..."
"Gradeup is FREE Exam Preparation app for IBPS PO, SBI Clerk 2018, SSC CGL, CHSL, SSC JE, GATE, JEE Main, NEET, UPSC IAS, CTET Hindi, DSSSB, Bank Exam, SO, RBI Grade B. Why Gradeup? 1. Clear doubts- Ask questions to o..."
"Bullseye App is the one-stop solution for all those preparing for aptitude entrance exams such as MBA-CAT/MAT, Bank PO & SSC, and Campus Placements etc. Started in 1998 by IIM alumni, Bulls Eye is a leader is the aptitud..."
"Instant tutorials anytime anywhere with TutMeNow. Download now to experience the topper life!" "Experience next-gen learning with Pocket Minerva, your personal tutor. Download Pocket Minerva to unleash the Minerva in you!" Censeo: "Censeo makes it easy for teachers to collect, tag, and securely manage artifacts of student learning." "An interactive education platform where children and their parents have access to a plethora of educational and informative videos, articles, homework assignments and questionnaires. The app has a simple registration and login feature. Parents would receive push notifications when their child checks in or checks out of the app. The app also has study groups for students in various grades. The use profile management i..."
MEL Science: "e-Legion created the mobile application that assists children and parents to conduct chemistry experiments. Through the application children get acquainted with chemistry. It gives step-by-step instr..."
Quran App: "That was unfixed app, and client need to fix their bug and some interface change." ""e-Storia" Mobile Application is an interactive guide-book for Bulgaria’s cultural and historic heritage with integrated 3D visualization and sights promotion. The application's built-in GPS navigation provides fast and precise localization of Sofia's key historical sites and routes." "BT PM- Evolution app enables all the attendees of the BT PM - Evolution event to interactively engage with the organizers, panelists, presenters and with each other in the context of the event. Receive contextual content, alerts, engage in conversations, participate in sessions in real-time, provide feedback and overall, gain a connected, personalized and engaging event experience." eLearning App/Website: "It is a simple way for local students & tutors to match and connect without the middle man. Searching for students or tutors and START connecting and learning." Baranoy: "Baranoy is basically an Quiz Puzzle App which provide users a platform to play around quizzes of various categories to enhance the knowledge. Baranoy is a fun and challenging multiple choice trivia ga..."
Bizcover: ""Realizing the potential of America and to learn about the business culture of United States of America YES has organized a delegation – BizCover America from 8th to 24th of June, 2014. 100 delegate..."
"Earn points for not using your phone in class, and redeem them for clothes, food, movies and much more at any of our 200 partner brands. Top app used by 100+ university students in UAE. Lock&Stock Hiring platform let brands & shop owners create jobs using the platform's vendor portal. The students get hired using the platform by applied to relevant jobs." 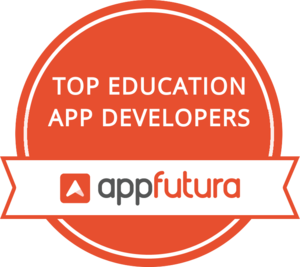 Education apps are here to stay. Every day more schools, universities and other learning centers use tablets, phones and computers to teach. Education apps are the new books available for everyone with an internet connection. There are apps for kids to teach them how to read, or how to calculate; and there are also apps for teenagers to learn how to cook or even how to develop an app. Apps meant for the education industry have to be clear and simple, with colors for kids and music or audio (since some of them cannot read). Other features that can be found on an education app are: games, profile creation, social media sharing, rewards, great UX, settings for parental control, etc.